Ninety-eight of the chief complaints and disorders you're most likely to encounter in the ED! 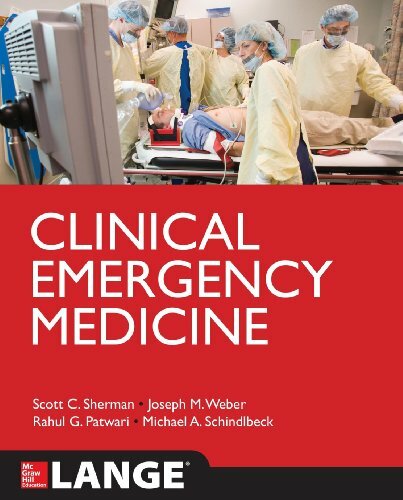 Written by authors who are practicing emergency physicians and emergency medicine educators, Clinical Emergency Medicine distills the entire content of the emergency medicine curriculum into less than one hundred succinct, clinically relevant chapters. This unique book is intended to guide you through what you must know and be able to do during an actual shift and give you a better understanding of the issues and problems you will face while working in the Emergency Department. Featuring a consistent, find-it-now design, Clinical Emergency Medicine delivers concise, must-know information on ninety-eight chief complaints and disorders, ranging from asthma and chest pain to fever and poisoning. Each chapter begins with Key Points, followed by an Introduction, Clinical Presentation (History and Physical Examination), Diagnostic Studies, Medical Decision Making, Treatment and Disposition, and Suggested Reading. Whenever possible, the authors provide practical advice on drug dosing, the medical decision-making thought process, treatment plans, and dispositions that will be of value in a clinical environment. Numerous diagnostic algorithms simplify the problem and point you towards a solution.